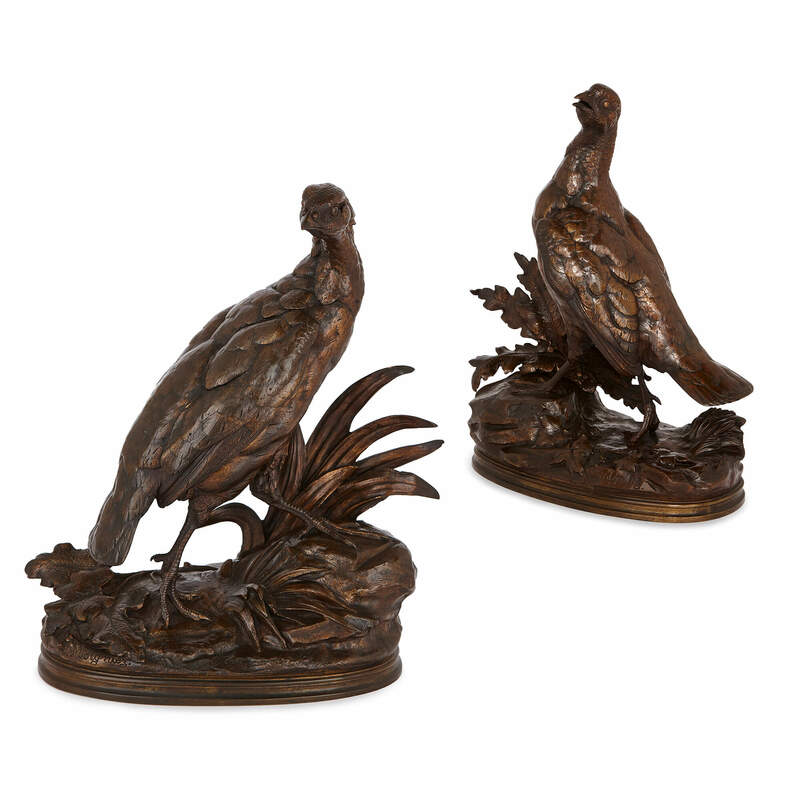 These patinated bronze models of partridges exhibit the naturalism, energy and charm for which French sculptor Jules Moigniez was so widely acclaimed. 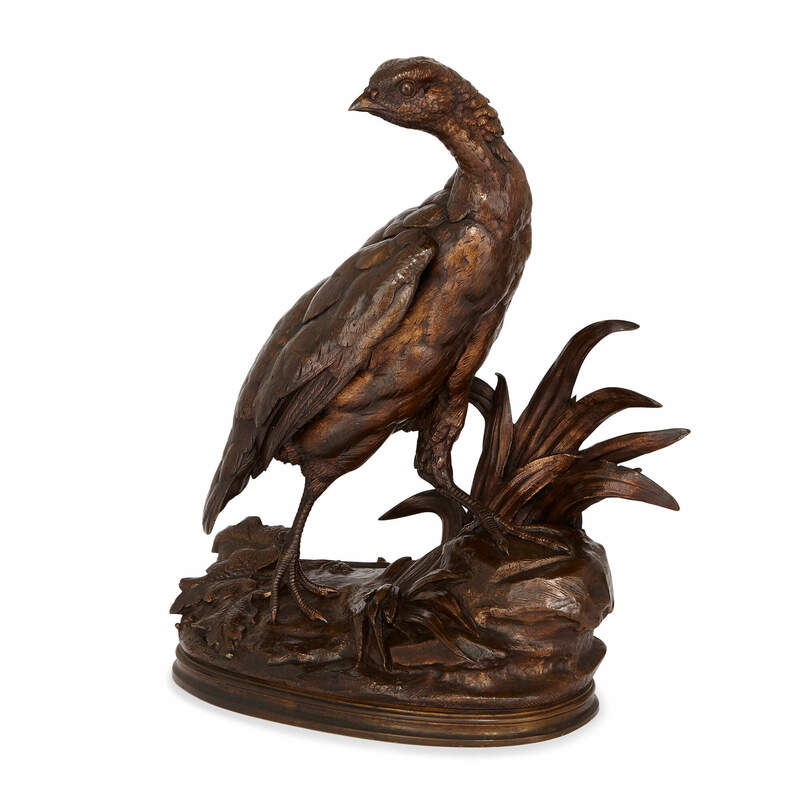 French artist Jules Moigniez (1835-1894) was a proficient animal sculptor in the late 19th Century, and was perhaps best known for his bronze models of European game birds. 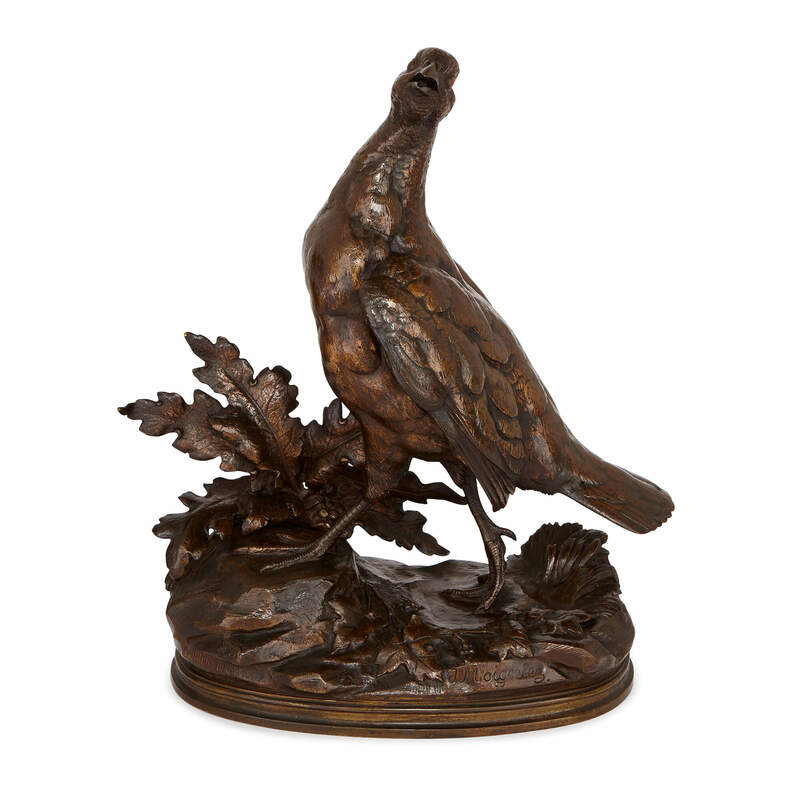 Though Moigniez was based in Paris, his models were most popular in England, and it was with the English market that he enjoyed the greatest success. This pair of models of partridges are exemplary of Moigniez's adeptness at creating naturalistic animal figures. 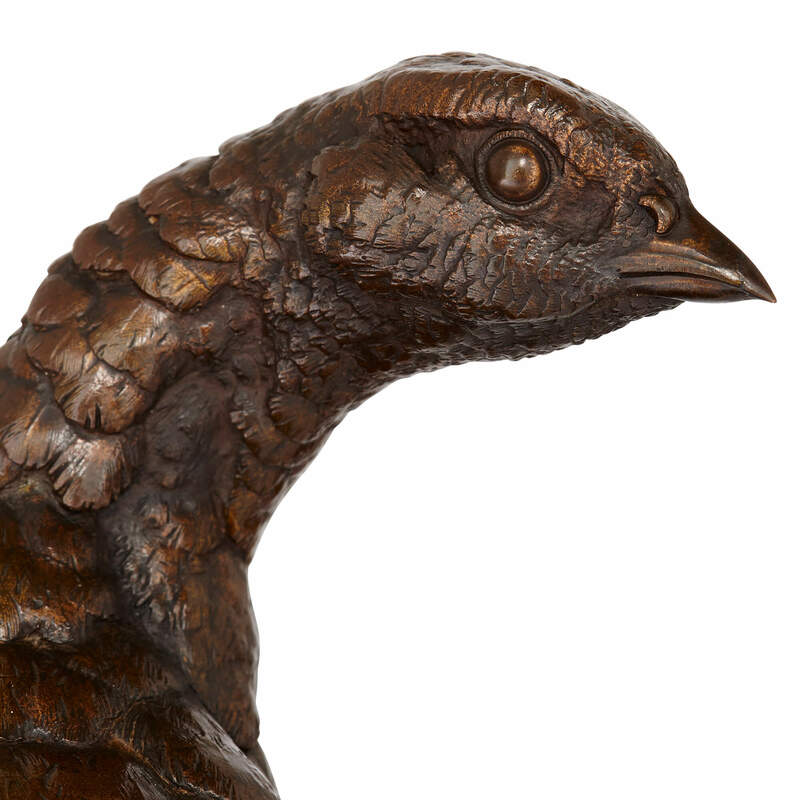 Each sculpture shows a full-length model of a partridge on a naturalistically-cast leaf-strewn base which has also been cast to show rocks and shrubbery. 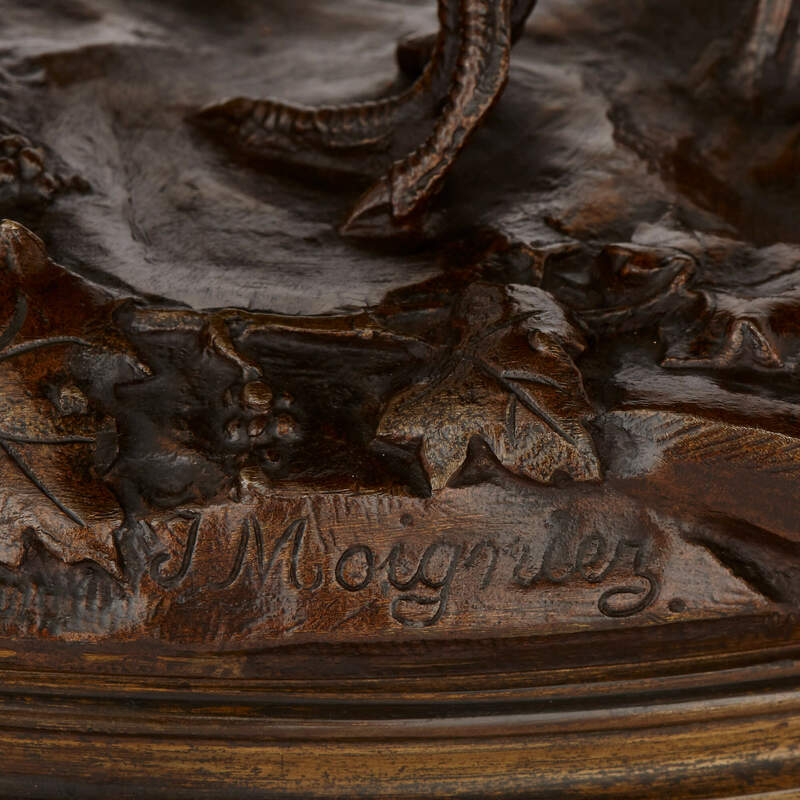 The patination on the bronze in both cases gives the models a copper-like sheen, and emphasises the fine details of Moigniez's work. Each of the bases is signed 'J. Moigniez'. 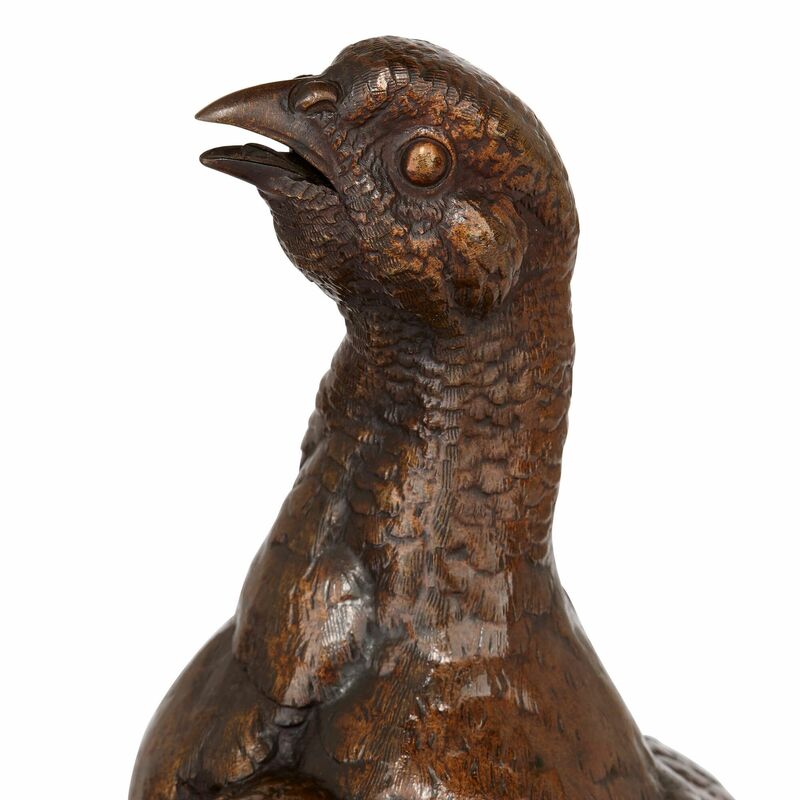 Sculpture of Les Animaliers by Jane Horswell, Suffolk Antique Collector's Club, 1971.